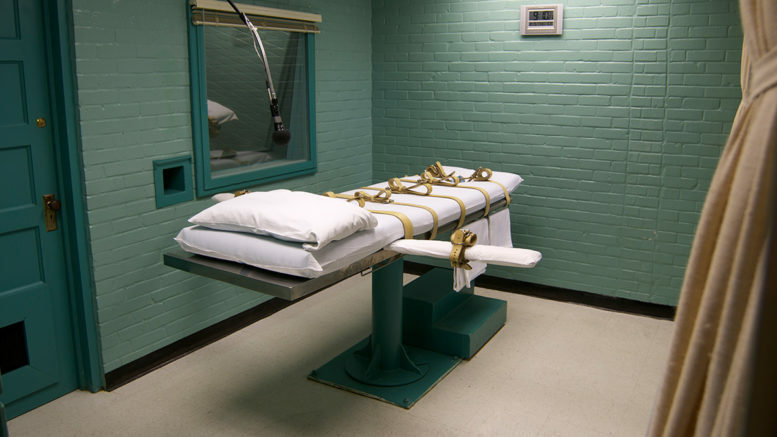 A calamitous set of circumstances in Arkansas has led to a potential miscarriage of justice and a demand to reexamine the morality of the death penalty. Arkansas hasn’t had an execution in almost 12 years, however in late February Gov. Asa Hutchinson signed death warrants for eight men who were to be put to death before the state’s supply of midazolam, a drug used in lethal injections, passed its expiration date. One of these men was Ledell Lee, a man accused of killing Debra Reese in 1993 and who was placed on death row over 20 years ago. From the night of his arrest to the day of his death by execution, Mr. Lee maintained his innocence. Dismissed as guilty from the beginning, a closer examination of the case leaves any individual with a knowledge of right and wrong incredulous at the mismanagement of Mr. Lee’s case. The crime scene was drenched in blood but Lee had no blood on him, no DNA tests or fingerprint analysis were ever preformed, and the judge never examined if Mr. Lee, who suffered severe fetal alcohol syndrome, was fit to stand trial or even psychologically capable of committing such a crime. Anyone who has ever watched an episode of CSI or Perry Mason would have no doubt that Lee’s incompetent lawyers hardly did their job. There was even one report of Mr. Lee’s representation showing up drunk to the trial. It wasn’t until Damien Echols, a man who spent 20 years on death row with Lee before he was found innocent, brought national media to the case a week before Lee was set to die that capable lawyers scrambled to investigate. There was a petition to hold the execution and to test DNA evidence taken from the scene of the crime. The United States Supreme Court, as well as a federal appeals court in St. Louis, issued temporary stays of execution while they considered his legal arguments. An evening of appeals kept Mr. Lee, 51, alive as his death warrant neared its midnight expiration. State officials, however, administered the lethal injection at 11:44 p.m. The Supreme Court decided 5 to 4 to allow the state to execute Lee and seven other prisoners. The court’s majority – which included the newest justice, Neil M. Gorsuch – did not explain its decision. This case calls us to question the morality of the death penalty. We saw a man put to death for a crime that he very well may not have committed. The injustice is overwhelming. An eye for an eye, or even more drastically, a life for a life, is an Old Testament way of solving problems. Our prevailing morals teach us to love, forgive, and provide second chances. The 8th Amendment forbids cruel punishment for a crime. We would almost certainly consider taking someone’s eye for an eye a cruel punishment. A life for a life is undoubtedly worse. As Christians, we are called to always err on the side of life and forgiveness. Clearly this is not so if he allows these executions. There is a duplicity in conservative ideology where we demand the value of life at conception and we work to end euthanasia, but we do not preach the sanctity of the convicted criminal’s life. Mr. Lee’s death is appalling if he was innocent. But it is just as horrifying if he was guilty. As Christians we are explicitly called to care for those in prison, forgive, and work for the salvation of those around us. Mr. Lee may have been convicted of a crime, but he was not inhuman. He has a soul. His life had value. He was working on his relationship with God. His last request was to receive Holy Communion. He was a sinner, but so are we all. If we are willing to cast aside a life seeking God, because of questionable due process and a bizarre expedition due to expiring drugs, what does that say about us as a society?